I’m so excited for my latest book and I can’t wait to share my favourite meals with you! Scheduled for release on 28 October 2016, the book will be in stores in Australia from 1 November. 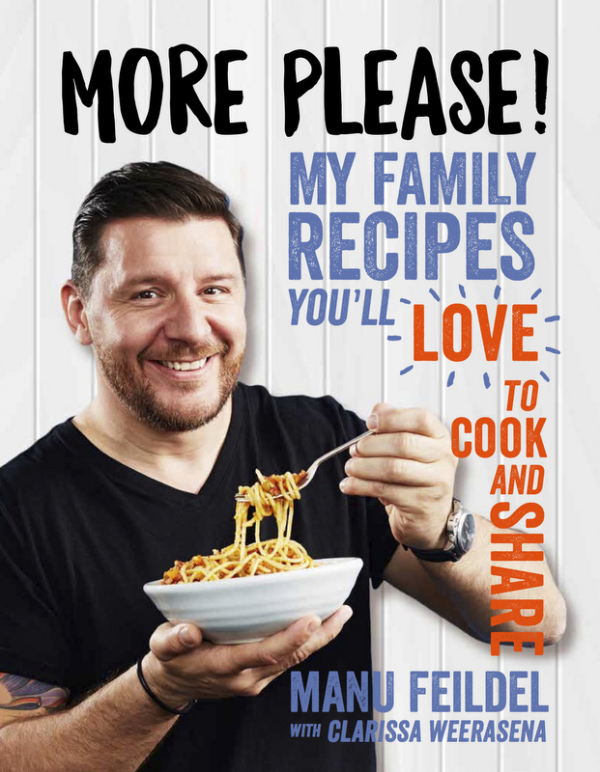 In Australia: Order your copy of More Please! here. Outside Australia: Order an unsigned copy of More Please! from Book Depository (free worldwide delivery) and Amazon UK. Or a signed copy, shipped via Australia Post, directly from my shop. More Please! is a little bit different from my other books, it’s not only influenced by global culinary traditions, but is a very special collaboration with my gorgeous fiancee Clarissa. There are quick and easy meals to whip-up during the week, classic French dishes, and a generous serving of Clarissa’s treasured family recipes too. From feeding the family on a busy weeknight to impressing a crowd on the weekend #MorePleaseManu is about real food with plenty of flavour. Bon appetit! TAGGED WITH: Cookbook, More Please!